The cloud holds endless space and endless opportunities. For those who see it, that is. Enter Oblivion Cloud Control. We’re cloud warriors. AWS wizards. Cloud Architects. Change agents. Infrastructure innovators and inspirators since 2006. We’re everything you need to get in the cloud. And beyond. The cloud is not our goal - your business success is. We turn the cloud into a launching pad to shoot for the stars. How far do you want your business to go? Contact us when you want to get ahead in the cloud. the cloud takes on the shape you want. 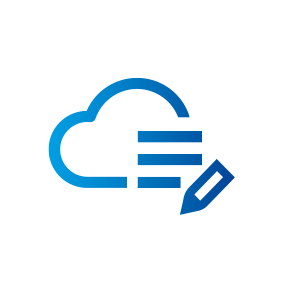 the cloud lets you innovate, release new products and services faster and cheaper. Without pre-investment. the cloud always gives you exact the resources you need. And you only pay what you use. the cloud frees your IT department to do the stuff that really matters. the cloud keeps your data both accessible and protected. the cloud is more reliable than any other server. Innovation is in our DNA. And so is AWS. That’s why organisations that work with Oblivion Cloud Control get even more from the cloud. We are your one stop shop for cloud consultancy, design, migrations or next-generation managed services. Building on and with AWS Products and Services, we deliver star quality, security and reliability. 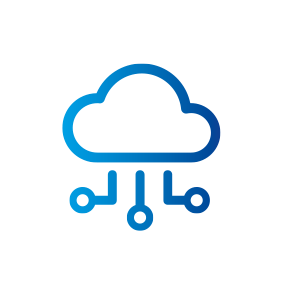 We help you find and solve cloud infrastructure needs, security - and continuity risks and guide you through all sorts of migrations. We help you optimize your performance, agility and efficiency and keep you safe along the way. We migrate complete, physical datacenters one day, and develop scalable, high-availability application platforms for worldwide e-commerce setups the next. To name few. Our consultants know as much about Cloud IT as about your business. They make it their business to help you define your cloud strategy and make the change. Automation equals reliability and efficiency. Code doesn’t get sick and never goes on holiday. We build solutions you can build a business on. We keep your cloud clean and your AWS bills clear. And cost-effective: we know just the AWS service to save you a buck or 15.000. A month. With every solution we build, we try to automate ourselves out of the picture. Still: we are there for you. For technical or moral support, or if your team isn’t ready to support the cloud yet. It is not enough we know everything about the cloud – we want you to know too. We help you build your in company cloud consultancy business. Don’t let your IT infrastructure hold you back. Get ahead in the cloud. The cloud is our thing. 200% percent. Our dedication helps you make the best of the AWS Cloud infrastructure. We launch you into the cloud, help you work it and keep it afloat. We even help your staff get up there too. The way to the cloud starts by getting to the bottom of your business. We dive into your needs. The wishes you want granted, the problems you want solved. And then we pick the best path to success. Design you a vehicle that can take you to stars. When it comes to cloud solutions, there is no limit to our innovation power and drive. But there is to the time we spend in your organisation – we do our job, and when your project has taken off, we take off too. Do we build? Absolutely! And we’re pretty good at FaaS (Serverless) and PaaS solutions too. What we do not do is building something that is already available. We might be ahead in the cloud; we keep both feet on the ground. Oblivion Cloud Control is living proof of how far passion for the cloud can take you: all the way from a bedroom in Apeldoorn to a bustling Amsterdam office. And it’s not just three guys with a knack for software development and infrastructure anymore either. We’re a daughter of Oblivion and a partner to many great clients. We’re a 20+ dream team with in house cloud consultants, system engineers, architects and support. We have been AWS Customer since 2006 and now are the first - and proud - AWS Premium Partner in the Benelux with over 75 AWS certifications. We turn your cloud into cloud 9, with all those cool AWS complementary services that make life in the cloud easy. Like Okta for Cloud Identity management, for easy and secure access to all platforms you use. To protect AWS hosted EC2 instances we use Trend Micro Deep Security. CloudHealth guarantees you absolute control over your AWS spendings. Have a project to discuss? Try us. Are you looking for an exciting and professional place to work? Try us too.